Marijuana is the world most used illicit substance ; in other words it makes people do what they aren’t supposed to do and it is good at it. It has been banned by federal law in United states since 1970. But many states have since decided in changing their stand on the drugs. more than sixteen states have decided to allow use of marijuana for medicinal purposes while more than a dozen allow marijuana to be grown and used for recreational purposes within the control of state laws. States like California have already taken a very liberal stand on marijuana. California boasts of nearly 14million $ marijuana industry making weed the biggest cash crop in the state. Lets take a look at what laws are present in some other states. 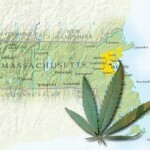 Massachusetts is one of the most strict states with respect to US marijuana laws. Since the beginning of 2009, even possession of any small quantity of marijuana up to an ounce is considered to be a civil violation and a fine of 100$ is to be paid. in case the offender is above 18 years of age. In the event that the offender is below 18 years of age and additional 10 hours of community service is to be added to the punishment. Possession of any amount of cannabis more than an ounce is a crime with incarceration sure if convicted. In addition to jail time driving permits and gun permits of the offender are to be cancelled immediately which are difficult to get reissued. The federal law is also permitted to deny any student loans to the accused. in case the offender is not a first timer the fine and period of incarceration increases considerably. 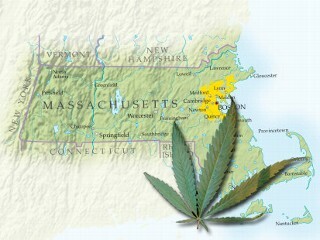 Massachusetts had passed laws permitting usage of marijuana for medicinal purposes but it also gave the federal governments all rights to intervene and control medicinal marijuana usage in the state. Maryland is another one of the harsh states in the union which imposes heavy restrictions on marijuana trafficking. This is true even after the state allowed use of medicinal marijuana in tolerable fashion and also developed a healthy Hemp industry. For people who do not understand, Hemp is the most basic type of marijuana which contains minimal amount of THC. It is utilized in textile and other industries. The minimum punishment for possessing any kind of marijuana in Maryland is 1 year of imprisonment along with a fine which can go up to 1000$. If the state finds excessive amounts of marijuana with you the imprisonment just keeps getting longer and longer and the fine just gets heftier and heftier. Anything more than 45 kilograms you are in for at least 25 years of prison and a fine of 50grands. Not to mention that this is only in the case of a first time offender and also the imprisonments are non-pardonable. In Maryland it is called MMS or mandatory minimum sentence. This is one of the harshest of US marijuana laws. Remember whatever be the state or even country the best way to stay out of trouble is to keep yourself out of it. Understanding laws and abiding by them is the most easy way of leading a hassle free life. Though medicinal marijuana is becoming an increasingly accepted concept it will still take a long time to get the smae openness towards recreational marijuana. For now just escape to California! This entry was posted on Sunday, June 5th, 2011 at 21:55	and is filed under Marijuana Laws. You can follow any comments to this entry through the RSS 2.0 feed. You can leave a comment, or trackback from your own site. Maryland and Massachusetts, I think using it as medicine is a good use, but despite the law, there are many people want to earn money from illegal things. I don’t know if the sell and buy activities happen a lot in this two states.